Who says you can’t teach an old dog new tricks? Young or old, dogs will flip for the amazing taste of our Tricky Trainers. 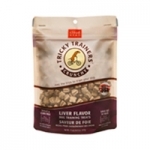 These scrumptious little treats are just the right size for rewarding dogs for a job well done. 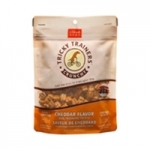 Our Crunchy Tricky Trainers have a satisfying crunch with no greasy residue, and are made from wholesome ingredients. 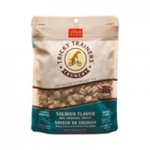 They’re the training treats with no hidden trick except tastiness! Earthbath Deodorizing Spritzes - Lavendar Spritz - 8 oz. Earthbath Premium 3-in-1 Deodorizing Spritzes naturally eliminate pet odors between baths, remoisturizes coat and skin and impart a healthy shine & supple softness, without leaving oily residue. Earthbath Deodorizing Spritzes - Vanilla Almond Spritz - 8 oz. Earthbath Deodorizing Spritzes Eucalyptus & Peppermint Spritz 8 oz. Earthbath Deodorizing Spritzes - Hot Spot & Itch Spritz - 8 oz. Earth bath's Hot Spot & Itch Relief Spritz additionally remoisturizes skin & coat, and imparts a healthy shine & supple softness without leaving oily residue.